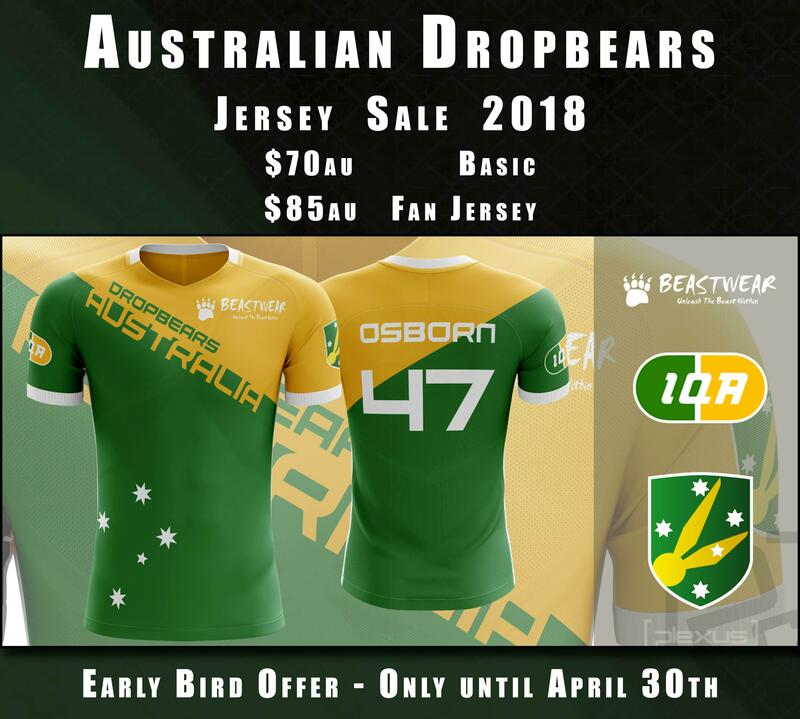 Purchase a 2018 Dropbears jersey today to support the Australian National Quidditch Team. During the early-bird sale, you can get a basic jersey for just $70 or get a fan jersey with the name and number of your favourite player for $85. Jerseys are available in a range of sizes including Kids 4-12, Ladies 6-26 and Men’s XS-6XL. Early bird pricing will end on the 30th of April. Full list of jersey numbers can be found here. Jersey prices will go up by $5 at the end of April. Find out more and purchase your jersey at Beastwear. Prices listed on the website including the cost of shipping; products will ship worldwide. For bulk orders of 5 jerseys or more, please fill out this form.